The film was scheduled for release on Thursday, coinciding with the start of the Lok Sabha polls. “Any biopic material in the nature of biography/hagiography sub-serving the purposes of any political entity or individual connected to it, which is intended to, or which has the potential to disturb the level playing field during the elections, should not be displayed in the electronic media including cinematograph during the operation of MCC”, the Commission said in a statement. 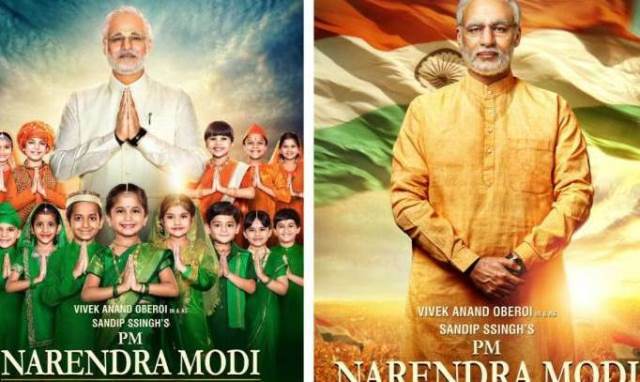 PM Narendra Modi, the biopic was initially scheduled for release on April 5 but its release date got postponed to April 11, which falls in the first phase of polling of Lok Sabha elections. This statement from the Election Commission came after receiving complaints against movies ‘NTR Laxmi’, ‘PM Narendra Modi’ and ‘Udyama Simham’. Modi’s biopic helmed by Omung Kumar has also been criticised by the opposition parties, which believe that the biopic may give an undue advantage to BJP in the polls. On Tuesday the Supreme Court dismissed a plea seeking stay on the release of the Vivek Oberoi-starer biopic stating that it is for the Election Commission (EC) to take a call whether the movie violated the Model Code of Conduct (MCC) or not.